Every driver experiences an unsafe road condition at some point. It could be due to poor drivers, weather, or any of a million other factors, including drivers who simply don’t keep up with their car service schedule. At times, it could be the actual road itself that places a driver in danger. Many of the roads on this list appear normal at first glance, but the death rate on these thruways is astronomical. Some of these qualify in both manners, with unsafe conditions and bad drivers. That is surely a recipe for disaster. 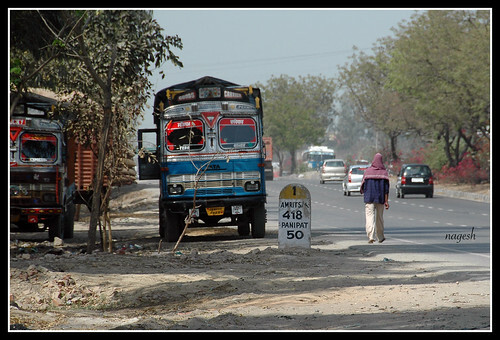 Also known as the GT, this road was constructed over 500 years ago and is nearly 1600 miles long, running as a main thoroughfare from Bangladesh to Pakistan. The road has been everything from a trade route to a path for invading armies. So, why is it unsafe? Well, it’s not due to poor road conditions or elevation; it’s actually just because of the traffic. Buses, cars, trucks, pedestrians, bicycles, and even animals use this road as a main passageway. If you are not alert, you will hit something, probably many things. Gold was discovered in the Shotover River outside Queenstown by shepherds in 1862. The gold rush came shortly thereafter, prompting the need for an access road. The result was Skippers Road, a 17-mile-long treacherous pathway that twists its way through Skippers Canyon. The road was carved through solid rock and took over 22 years to build. It still looks much as it did 150 years ago. Most areas are too narrow for more than one vehicle to pass at a time. Guardrails are nonexistent and the drop-off is a harrowing sight. This road is for thrill seekers, and if you decide to rent a car, be prepared for the contract to state that you cannot drive on this road. This ancient, hazardous thoroughfare winds through the mountains of Costa Rica, linking Cartago and San Isidro de General. The highest point is Cerro de la Muerte (Mountain of Death), but that name has nothing to do with the actual road. Long before this road existed, people would attempt to traverse the pass on foot, and very few made it. However, the road itself fits the name, as it challenges drivers with dense fog, narrow curves and gigantic potholes. The road is nearly two miles above sea level, making it difficult for drivers to breathe. Adding to the danger are local drivers that operate recklessly, with little care for others. At the foot of Pakistan’s Nanga Parbat is Fairy Meadows, a popular spot among mountain climbers, photographers and backpackers who want to get close to the peak and soak up the beautiful scenery. Unfortunately, actually getting to Fairy Meadows by car is the problem. The trip involves a 6-mile trek along an unpaved gravel road that was literally hacked into the hillside. The “road” runs from the Tato village to the Raikot Bridge and challenges motorists at every turn. It’s unpaved, steep, narrow, and of course without guardrails of any sort. One little slipup and you are headed to the bottom of the gorge. Even if you make it on the road, it doesn’t even reach all the way to Fairy Meadows. It is only reachable by foot or bicycle. This road is not for the timid, or the out-of-shape. The ASIRT (Association for Safe International Road Travel) has anointed Old Yungas Road in Bolivia as the World’s Most Deadly Road. It turns and twists for over 40 miles through the jungle region between La Paz and Coroico. If you thought other roads seemed dangerous, you haven’t seen anything until you check this one out. All the roads on this list have a few things in common, such as being narrow and comprised at least in part of loose gravel. If you are driving something larger than a sedan then you are in for the ride of your life. Make sure the vehicle you are driving is well serviced before driving any of these roads. This post was written by Aiden on behalf of Service4Service, a nationwide car service center based in the UK.